The modular screen can be used to create a wall-sized display, or a more traditional screen size to suit a new room in your home. “At Samsung, we are dedicated to providing consumers with a wide range of cutting-edge viewing experiences,” says Jonghee Han, Samsung’s President of Visual Display. 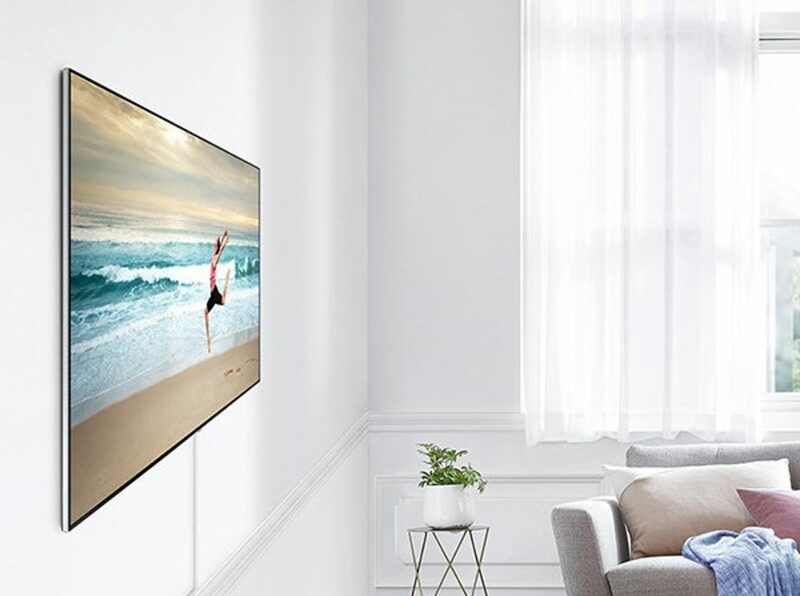 In addition to ‘The Wall,’ Samsung unveiled other innovations at its “First Look CES” event, including a TV which upscales content to 8K resolution. The QLED TV employs technology that upscales standard definition content to 8K via a proprietary algorithm to adjust screen resolution based on the image quality characteristics of each scene. This includes detail enhancement — upgrading standard definition content; noise reduction; edge restoration function – which more clearly outlines on-screen objects Automatic sound adjustment for different content, such as sports events or music concerts, will also be featured with this TV. The Korean manufacturer also showcased its 2018 enhanced Smart TV platform, including Bixby, SmartThings and Universal Guide. Bixby, an intelligent assistant platform developed by Samsung, enables easier interaction between the TV and consumers using an intuitive UX and voice analysis capabilities. SmartThings integration into 2018 Samsung Smart TVs will also offer easier sharing, connectivity, and an overall simplified way to control the television and sync with other devices, according to the company. 2018 will also see the launch of Universal Guide, an advanced program guide that allows users to search for specific content across all apps and programs and automatically recommends TV content according to a user’s preferences.